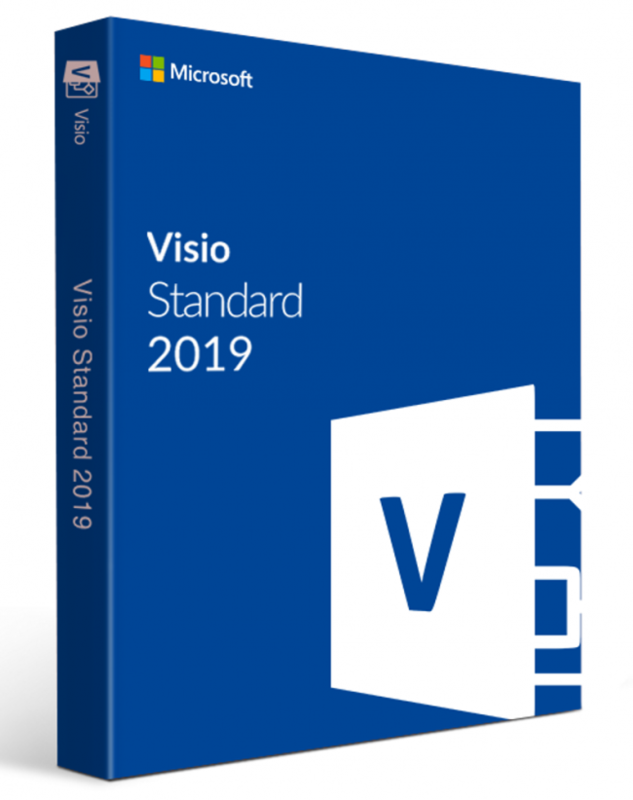 1 x 1PC Visio 2019 Standard Digital Product License Key with installation media. With Visio 2019 teams can now create, collaborate and share data-linked diagrams easily with ready-made templates and thousands of shapes and features, allowing the user to simplify complex information for all stakeholders involved. 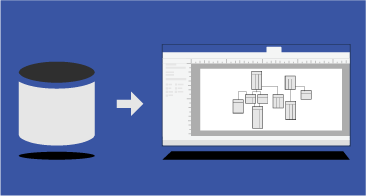 Visio 2019 now allows you to quickly overlay data on top of any project, as well as underlying data refreshes, diagrams/shapes and data visualization updates. 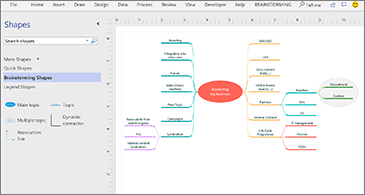 With Visio 2019 you can work as a team/individual to easily create and share data-linked diagrams bringing all your ideas to life. Work visually -Diagramming made simple. 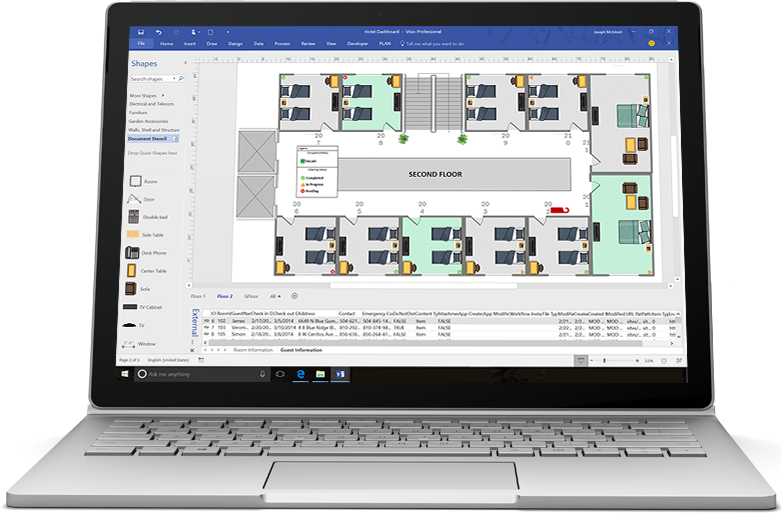 Visio 2019 now makes it easy and intuitive to create flowcharts, diagrams, org charts, floor plans, engineering designs, and much more, using modern shapes and templates with the all round familiar Office experience. 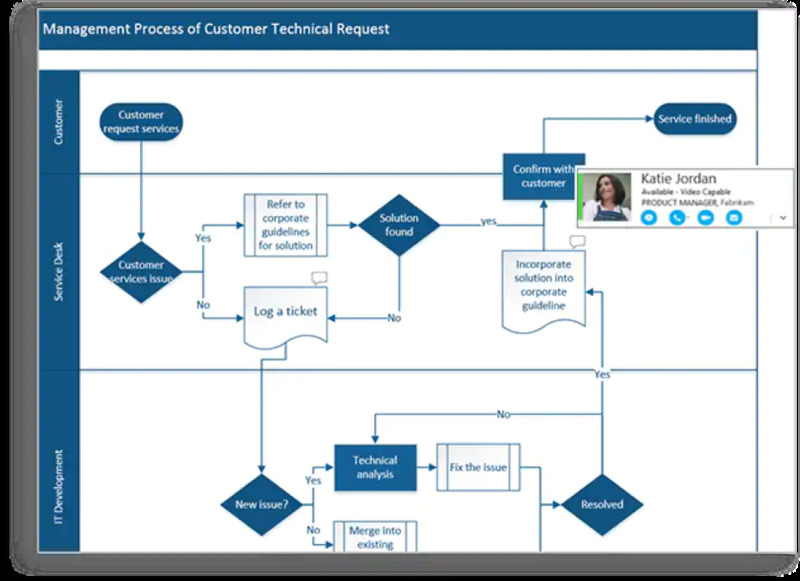 Work together on Visio flowcharts to include insights from all stakeholders involved. 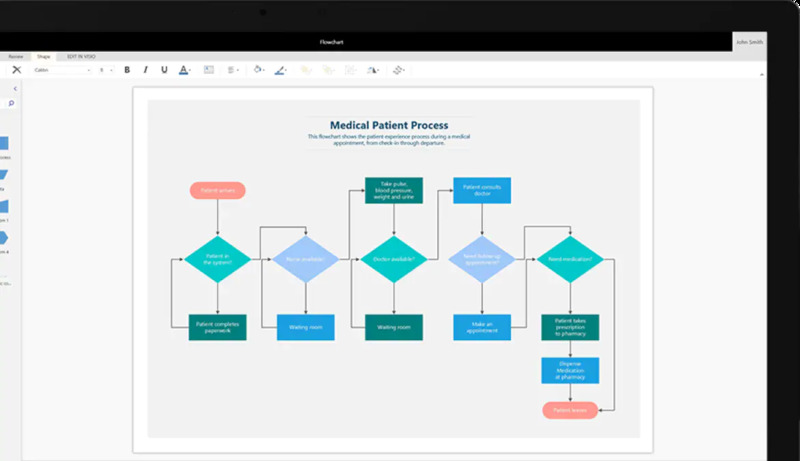 Connect your flowcharts and diagrams to real-time data and information. The ability to Create professional diagrams effortlessly! 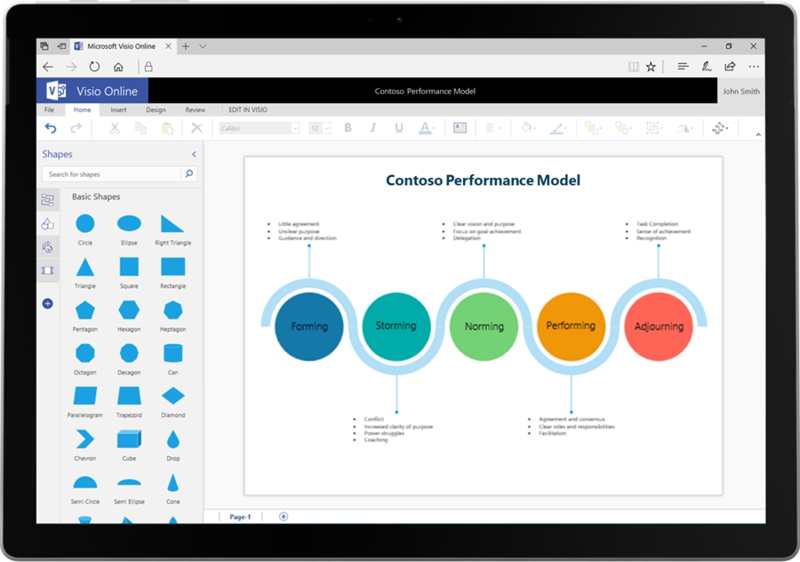 Visio 2019 allows you to easily create any professional diagram with the all familiar Getting Started experience,as well as hundreds of ready-made templates, and thousands of shapes , all which meet, industry standards! 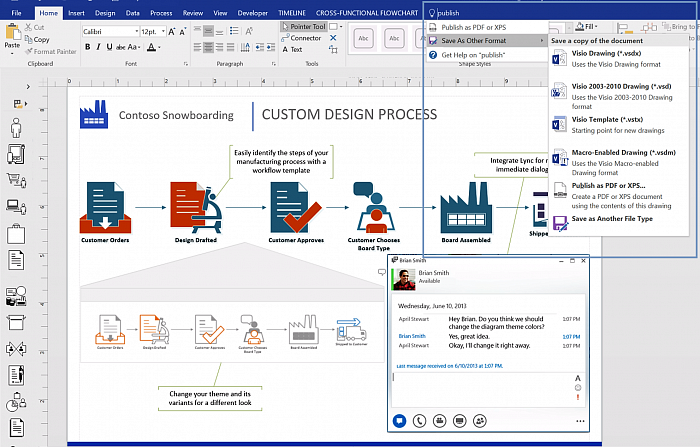 Visio 2019 allows you to encourage greater diagramming collaboration with co-editing partners, inserting shape-specific comments and much much more. Visio 2019 now allows the ability to easily share diagrams from directly within Visio for input from critical stakeholders in real-time. 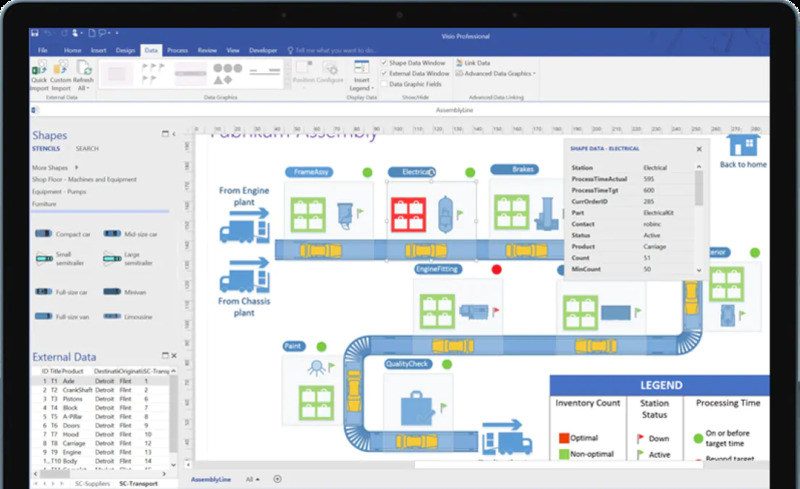 Link your Visio 2019 shapes/diagrams to real-time data from a variety of popular data sources or diagrams to visualize changes in the underlying data for quick, unique insights. Versatile templates with thousands of shapes! 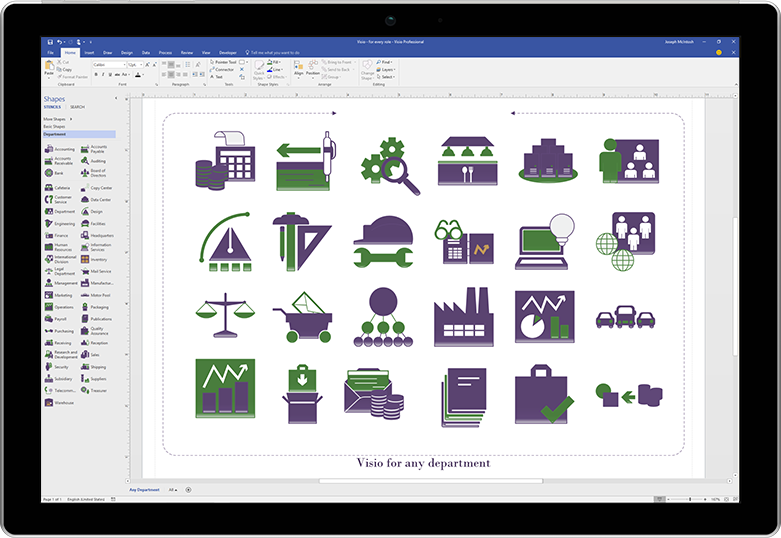 With Visio 2019, you may choose from dozens of templates and thousands of customizable shapes to transform numbers, ideas, and other meticulous data points into coherent and impactful stories and visual art depoicting all your information. 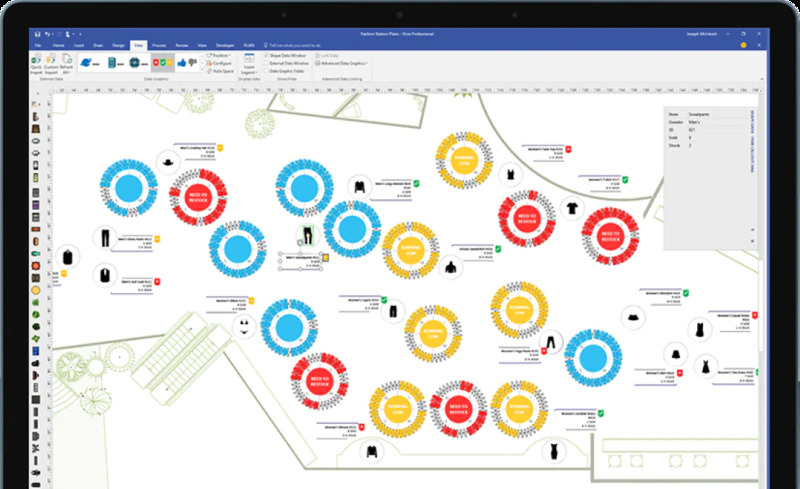 You can Pull from Visio 2019's huge shape library for content that meets industry standards and compliance. By running Visio 2019's validation engine to help ensure your workflow diagrams have all the required elements and security features. Leverage intuitive capabilities like drag and drop, align/position, auto connect to build diagrams more efficiently as well as give each diagrams a professional, appealing look with premade themes and effects and many more features to help visually create your shapes and templates. Now you can co-edit diagrams with your team/colleagues to maintain a single version of truth whilst minimizing version conflicts. Intuitively see who’s working on which part of the diagram, get notifications about required changes, and choose when to merge those changes into the master file all in real-time. 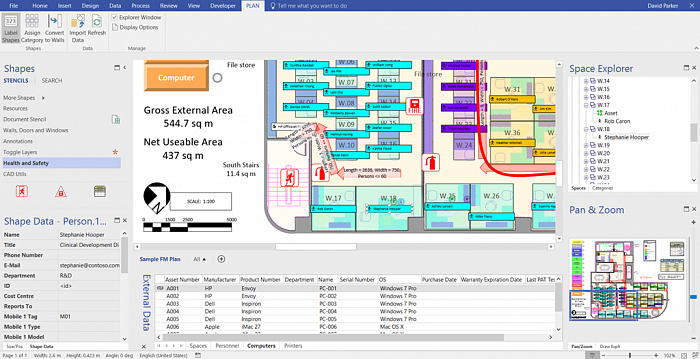 Instantly message all online personnel involved with each visio project. Share your diagrams from within Visio through a variety of highly secure online repositories as and when required. Connect/Insert your Visio shapes and diagrams to data from common internal and external sources to simplify complex information presented. Visio 2019 allows you to automatically generate organisational charts from data sources including, but not limited to, Excel, Exchange, or Azure Active Directory thus saving you time and reducing mistakes from manual data-entry. Most Organization Chart's, Brainstorming/SDL templates now have new starter diagrams to get you up and running quicker and easier than ever before! The new Database Model Diagram template accurately models your database as a Visio diagram without the need for add-ins or plug-ins. Bring ideas to life by using a Visio 2019 wireframe. A wireframe is a detailed visual model of an interface that is like a blueprint of functionality and content of a website. 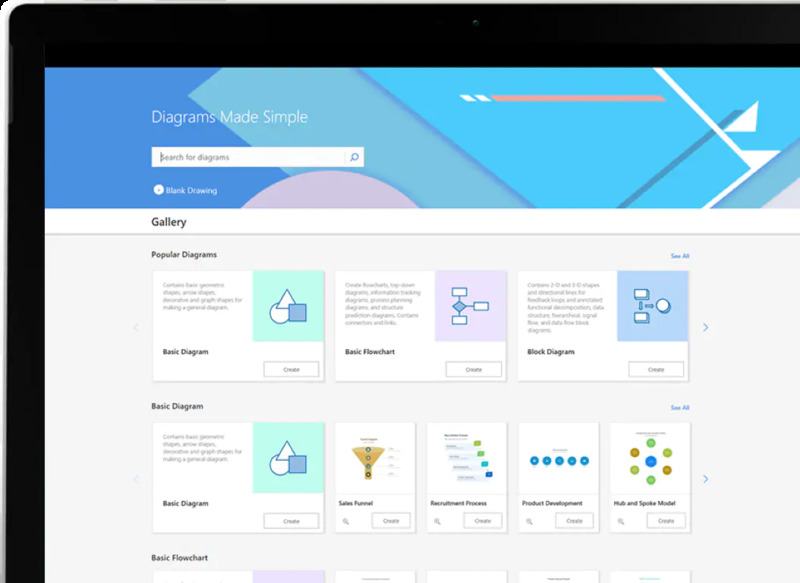 These new Website Templates within Visio 2019 are ideal for creating a low profile design sketch to present ideas, arriving at a team consensus. components, ports, interfaces and the relationships between them. architecture of a deployment of software artifacts to nodes. Now you can open ALL Autocad files with ease. With Visio 2019, you can now see scaling improvements when importing AutoCAD files. With Visio 2019, you will notice that AutoCAD import speed is vastly improved. Visio 2019 is NOT compatible with earlier editions of Windows or Windows Server.